Flavia is a 16 year old girl at Nyaka Vocational Secondary School (NVSS). She just completed her 2nd year of vocational training and is an inspiration for girls everywhere. 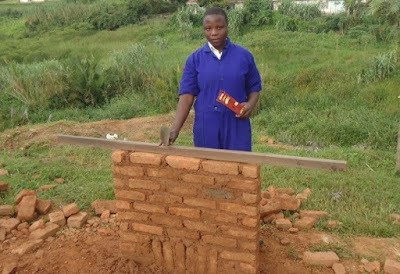 Instead of choosing a traditionally female vocation course, like tailoring, Flavia wants to become a building engineer when she graduates. Thank you for giving her the opportunity to enter a field that has always been ran by men. Life has been difficult for Flavia and her family, so she is determined to change her future for the better. She was only a year old when her father passed away. Her mother was left to raise her and her four siblings. This single-mother family was very poor. Sometimes Flavia’s mother would work on plantations to make a little money for the family. However, this was hard on the mother and most of the time she couldn’t even meet basic needs for her children. 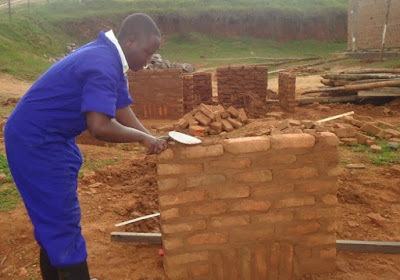 My relief came from Nyaka AIDS Orphans Project through the construction of Kutamba Primary School. I was admitted to the school in 2007 upon its opening and was able to study from there up to 2014 when I completed Primary 7. The next year I joined the wonderful Nyaka Vocational Secondary School. I enrolled in the newly established vocational class opted for Building and Concrete Practice, a course most people consider to be for males. I am determined to become a great engineer and inspire other ladies into the same profession. Being strong and hardworking, I took up this course to become a great and trustworthy engineer in a field that is male dominated. I see my dreams coming true in the near future. Flavia will be an amazing engineer when she is finished with school. She will be a role for other young girls who are also interested in careers that aren’t usually pursued by women. You have given her the confidence and courage she needs to pursue her dream and become a successful, professional woman. Thank you for giving Flavia the opportunity to break the cycle of poverty that she was raised in.